Milton Wilkins joined RBF Wealth Advisors in 1997 after a successful 21-year career as a senior management level executive at Monsanto Corporation, concluding his Monsanto career as Vice President of Corporate Development in corporate mergers and acquisition group. His resume also includes work at Mercer Investment Consulting/Hammond Associates where he was an institutional investment consultant and at the First National Bank of Chicago and McKinsey Company. 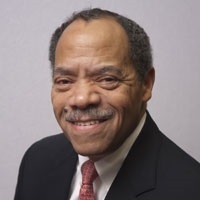 Milton currently serves as a member of the Finance Council and Investment Committee of the Archdiocese of St. Louis, as Vice Chairman of the St. Louis County Retirement Board, and as a member of the Board of Directors of the Nine Network of Public Media (KETC-Channel 9) where he has served as Chairman of the Board. His past community involvement also includes service as a member of the Board of Trustees of the St. Louis Science Center, Cardinal Glennon Hospital Foundation, St. Louis Priory School, St. Louis University High School, and Maryville University, serving at the latter two institutions in the additional capacity of Chair of the Investment Committee. He also was a member of the St. Louis Airport Commission and a member of the board of directors for the Public Broadcasting Service (PBS). Milton holds a MBA degree from Harvard Business School and a BA degree from Morehouse College in Atlanta. Milton is a native of St. Louis and a graduate of St. Louis University High School. He is married to Nina Smiley Wilkins.